Throughout his career, Tralance Addy has found creative ways of delivering potable water and other vital resources to developing countries. He built companies and networks of professionals and nongovernmental organizations to bring needed resources to poverty-stricken countries. He also launched Plebys International LLC, a venture-capital firm for innovations that help underserved populations. A native of Accra, Ghana, he holds several patents in the United States and abroad. 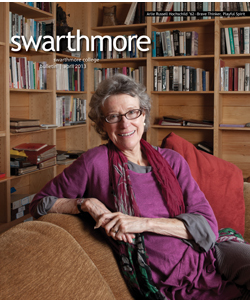 He has served on Swarthmore’s Board of Managers among many other boards. Addy was the first graduate to receive two degrees simultaneously—a B.A. in chemistry and a B.S. in mechanical engineering. He earned an M.S. and a Ph.D. from the University of Massachusetts–Amherst. Lorene Cary, author of Black Ice, Price of a Child, and If Sons, Then Heirs, is known for her activism and educational endeavors. A native Philadelphian, she is the founder of Art Sanctuary, which nurtures established and fledgling artists and hosts an annual African-American arts festival attended by thousands of people. Cary holds a B.A. and an M.A. from the University of Pennsylvania and an M.A. from Sussex University in England. Her essays have been featured in many publications, including Time and The Philadelphia Inquirer. Cary is a senior lecturer in creative writing at the University of Pennsylvania.